Hoosiers love to celebrate. 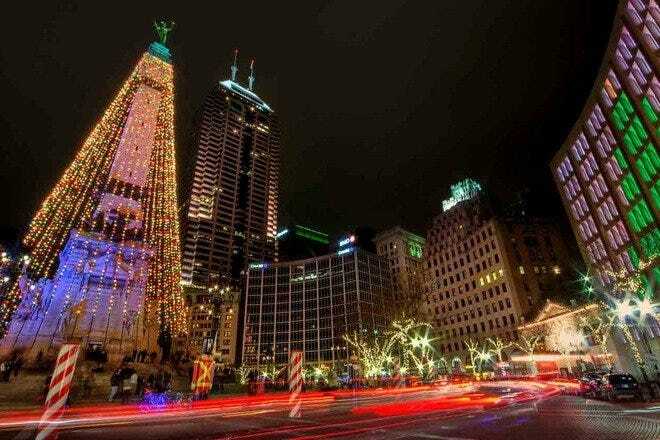 When the holiday season rolls around, it’s not surprising that Indianapolis has a treasure trove of special events designed to make lasting memories. 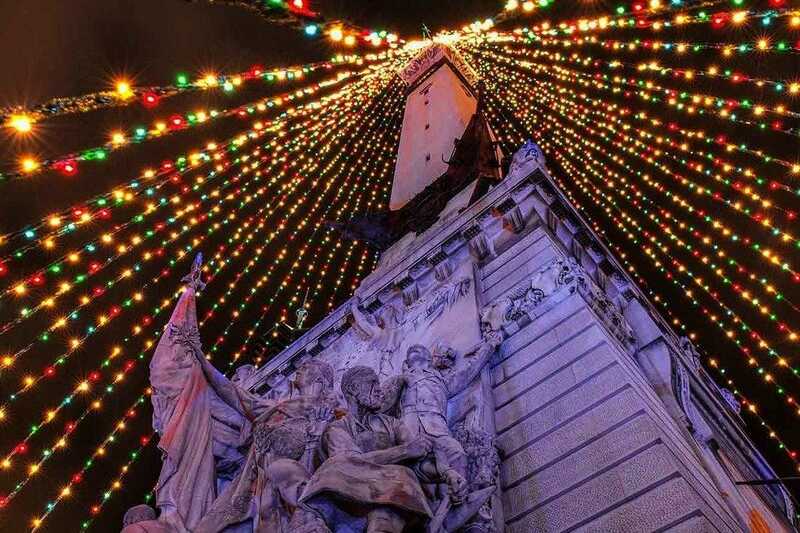 For many people, the official start of the season is the day after Thanksgiving when folks gather for the traditional Circle of Lights at the Soldiers and Sailors Monument in downtown Indianapolis. The geographic heart of Indianapolis, Monument Circle is the large circular plaza at the union of Meridian and Market streets. At the center of the Circle is the 284-foot-tall Soldiers and Sailors Monument, built in 1902 as a memorial to Indiana’s soldiers and sailors and a beacon for peace. Since 1962, the monument has been strung with lights to make one of the world’s largest Christmas trees. Each year, a local child is picked from a coloring contest to help “flip the switch” to signal the beginning of the holiday season. 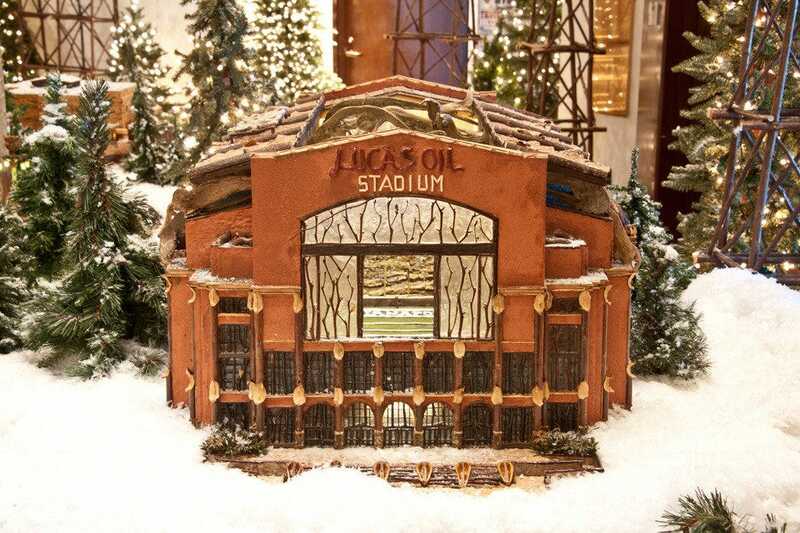 Another tradition that has shoppers making their shopping lists and hoping to find the perfect holiday gifts is the 65th annual Christmas Gift and Hobby Show, held this year Nov. 5-9 at the Indiana State Fairgrounds. More than 350 exhibitors display an incredible array of gifts. Youngsters often miss out on the New Year’s countdown because it’s past their bedtime. 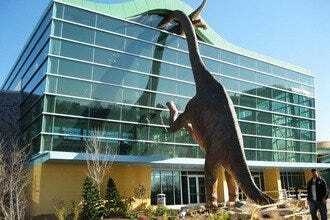 But The Children’s Museum of Indianapolis has a fun family solution for that. The museum hosts a countdown at noon on New Year’s Eve. Revelers watch North America’s largest water clock count down drop by drop. 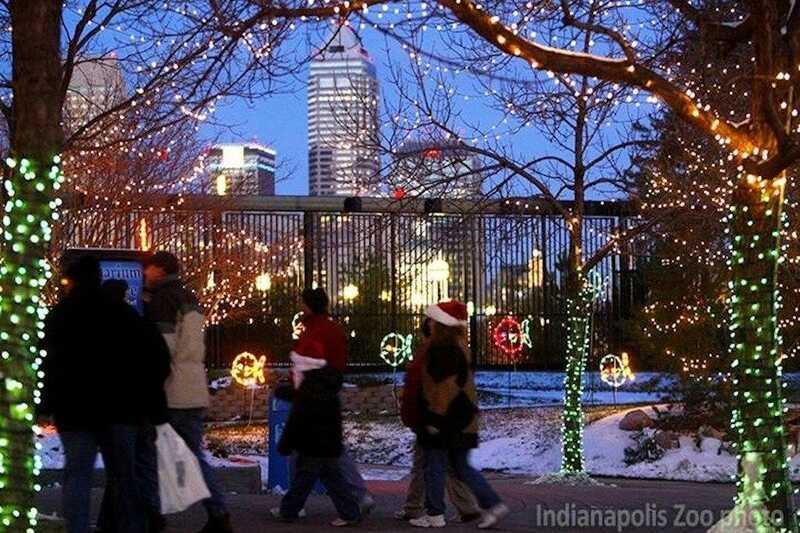 For feel-good family time, head to Jolly Days Winter Wonderland at The Children's Museum of Indianapolis. A marvelous place any time of year, the museum is a special treat during holidays. Take a ride down the two-story Yule Slide and discover the Ice Castle, "ice" fishing holes and sock skating – all without frozen fingers. Jolly Days are Nov. 22 through Jan. 4 with Santa's Big Arrival on Nov. 28 from 8:30 to 10 a.m. Jolly St. Nick arrives in grand style via a two-seater Dallara Factory IndyCar driven by 2014 Indianapolis 500 pole sitter and Hoosier native Ed Carpenter. 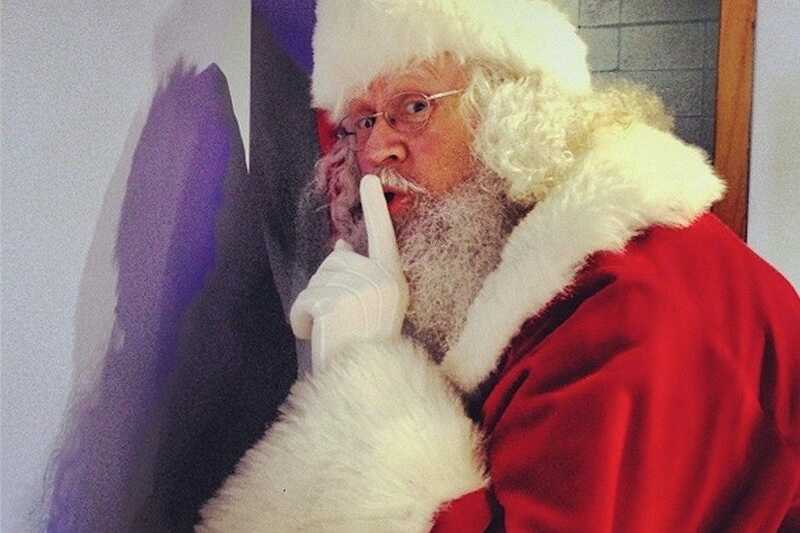 Santa will be at the museum daily from Nov. 28 through Christmas Eve to gather children's wish lists. Ring in the New Year at an earlier time for youngsters. Really it's Countdown to Noon on New Year's Eve when North America's largest water clock counts down drop by drop. , plus guests get free refills on hot beverages all night long at any food service location. 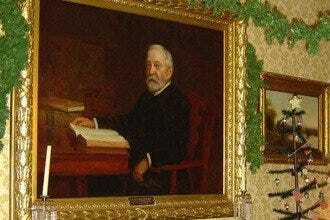 President Benjamin Harrison loved Christmas and all its traditions. When he was elected and moved his wife Caroline and family into the White House, Harrison took those holiday celebrations with him. Harrison is said to be the first President to put up a Christmas tree in the White House for the joy of his immediate family. The year was 1889. Today, the Benjamin Harrison Presidential Site in Indianapolis is decorated to represent a gala Victorian Christmas house and guests are invited to visit on Dec. 13 from 10 a.m. to 3 p.m. Built in 1874-75, the 16-room home was considered a gem in its era. Inside the front parlor holds a large tree with authentic decorations such as wooden soldiers, hand-blown glass figures, candles and original Harrison tinsel. Displayed under the tree are Victorian toys, many of them Harrison originals, just as the children might have seen them on Christmas morning. 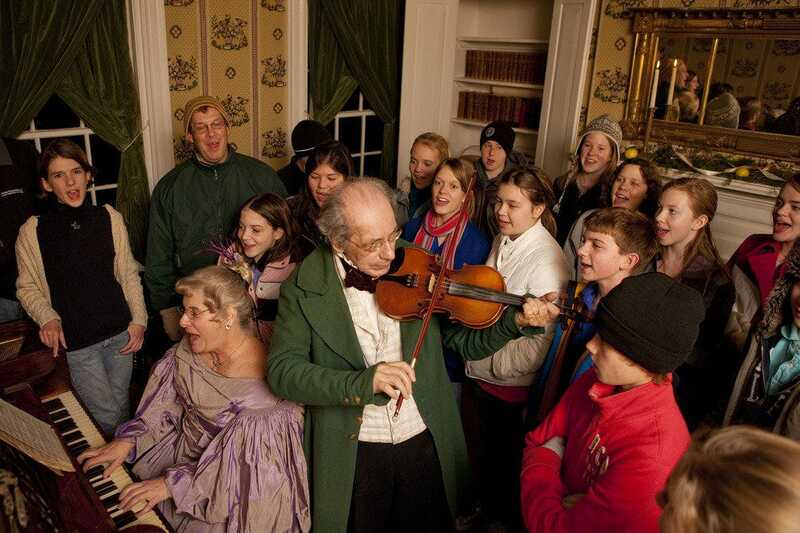 Journey back to Christmas Eve 1836 when Prairietown residents at Conner Prairie are preparing for the holidays. Each has a story to tell. Mr. McClure, the town carpenter, is putting the finishing touches on handcrafted gifts. The Ullmans describe their Hannukah celebration. Learn about Belznichol at the Golden Eagle Inn and hear what he does to naughty and nice children. Join Dr. Campbell at his elegant home for singing and dancing with him and his family. Back then, Christmas wasn't quite the big celebration it is today. Savor the simplicity while strolling along lantern-lit paths and meeting costumed interpreters. 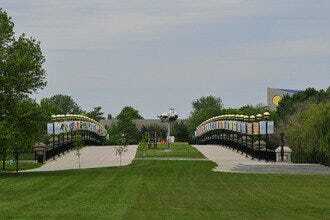 After the 90-minute guided tour, relax with Prairietown residents around the bonfire. Conner Prairie is a living history museum that turns the past into the present. Buildings, furnishings, costumes and even the actors' speech and conversations are thoroughly researched and recreated. Reservations required. Offered Dec. 5,6,12,13,19,20. Held the week after Christmas, the Indianapolis Auto Show gives car lovers a head start on next year's Christmas wish list. 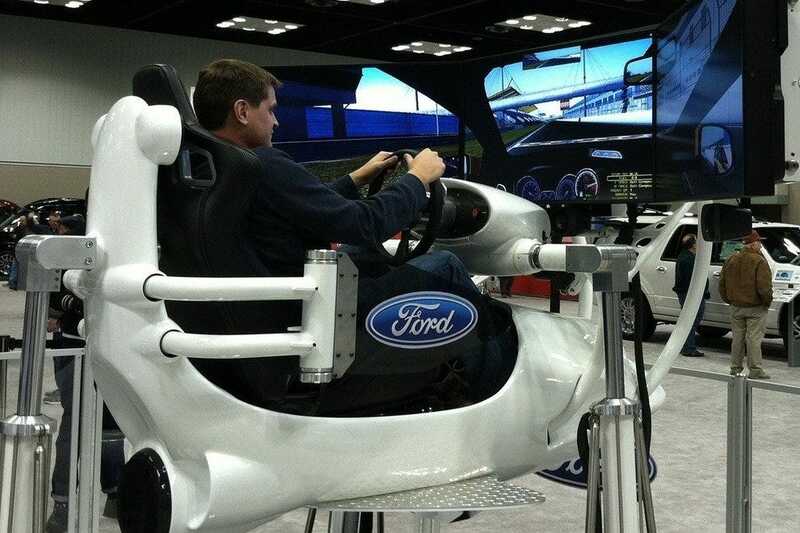 The event runs from Dec. 26 through Jan. 1 at the Indiana Convention Center in downtown Indianapolis. 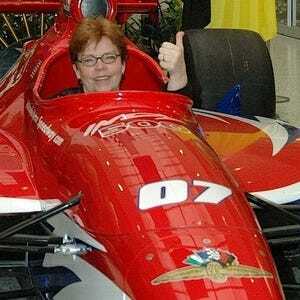 Presented by the Greater Metropolitan Indianapolis Automobile Trade Association, the show features about 450 vehicles from more than 40 manufacturers. Displayed in interesting exhibits, vehicles include 2015 model automobiles, SUVs, light duty trucks and luxury vans. Concept cars, the latest technology, celebrities and daily giveaways - culminating in a drawing for a new vehicle - add to reasons to attend. Consumers also are able to speak with automotive product specialists while they browse the more than 375,000 square feet of exhibit space. The show celebrated its 100th birthday in 2013. If nothing else, it's a good place to dream, stretch your legs and walk off some of the holiday goodies. For 65 years, shoppers have flocked to the Christmas Gift and Hobby Show with shopping lists in hand. Nearly five acres of wild, wacky and wonderful holiday gifts are featured, all under one roof with thousands of gifts marked under $20. 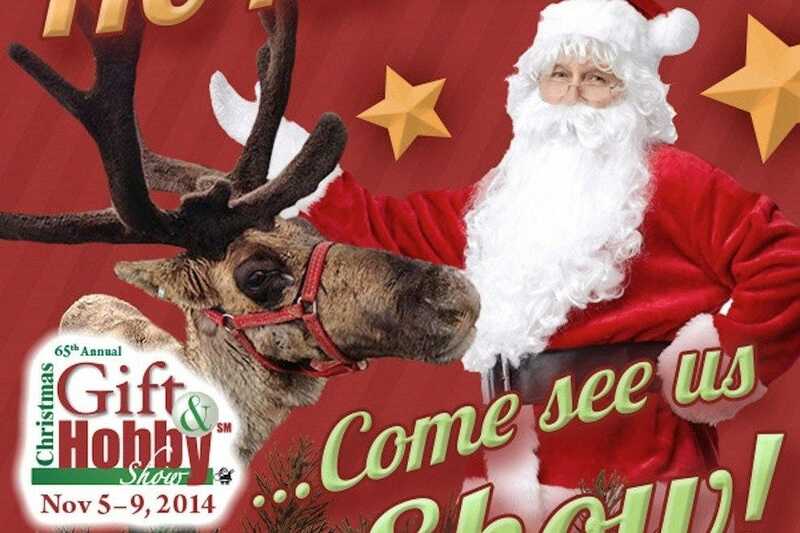 Entertainment, food, celebrities and giveaways, including cash and gifts, add to the merriment. The five-day power shoppers' paradise is the largest of its kind in the Midwest. More than 350 exhibitors display an incredible array of gifts - running a gamut of home décor, sports memorabilia, books, jewelry, dolls, apparel, designer-inspired accessories, collectibles and much more. The show has something for everyone, including an array of holiday sweets and locally produced wine. When you've shopped til you've dropped, enjoy one of the many stage performances featuring singers, dancers, magic and more. Of course, the merry old man in red makes an appearance. Dates for 2014 are Nov. 5-9. Wartime shortages and Depression-era budgets affected Christmas celebrations during the 1930s and 1940s. 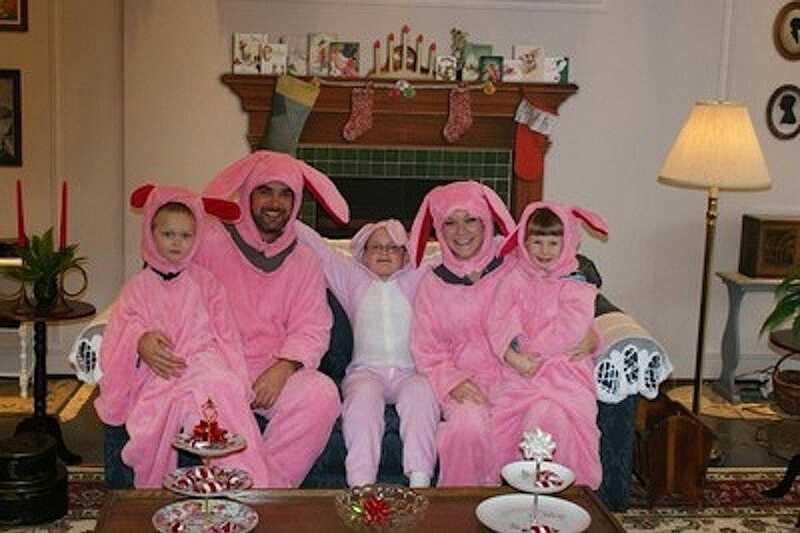 But more than ever, people were embracing the holidays and wanting to reconnect with festive traditions. During Christmas at Lilly House, guests can see how holidays of that time were celebrated with renewed hope and thankfulness. The free event showcases Lilly House decorated with trees, wreaths and greenery, along with refreshing touches of new fashions. A National Historic Landmark, Lilly House and Gardens is a 26-acre historic estate and house museum located on the Indianapolis Museum of Art campus. 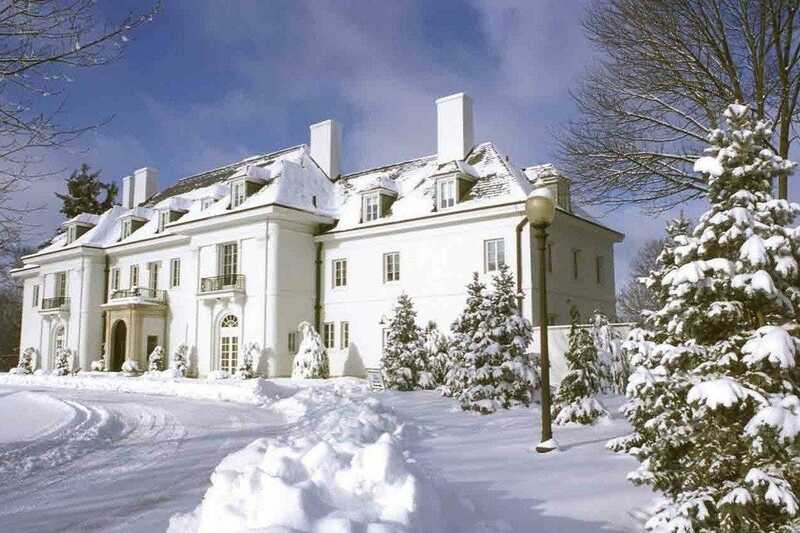 Lilly House is a 22-room mansion once the home of J.K. Lilly Jr., the late Indianapolis businessman, collector and philanthropist. Fifteen minutes north of Monument Circle, the Indianapolis Museum of Art is one of the nation's largest and oldest general art museums. 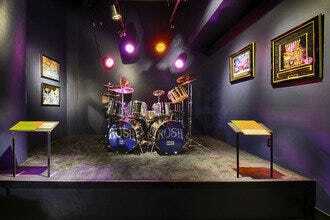 Founded in 1883, the museum has more than 54,000 works spanning 5,000 years.